Better mileage and price are the only significant differences between the 2019 Ford Fusion Hybrid and its Fusion cousin. 2019 Toyota Camry vs. 2019 Ford Fusion: Which Is Better? Can the older Fusion still compete with the recently redesigned Camry? 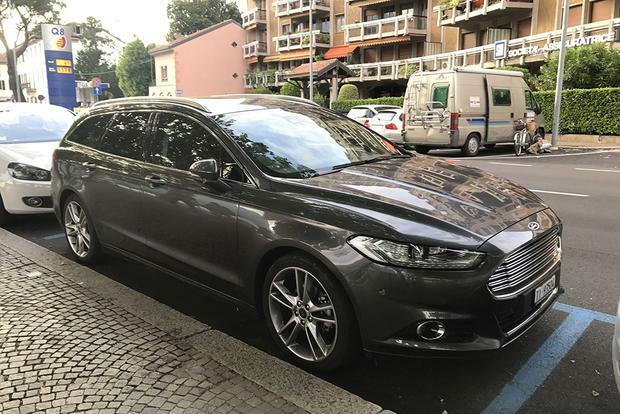 Rearranging standard content among its many trim levels pretty well sums up the updates for the 2019 Ford Fusion. 2016 vs. 2017 Ford Fusion Energi: What's the Difference? 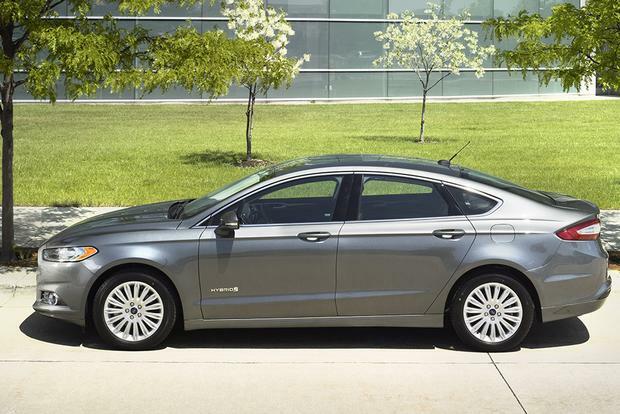 What's the difference between the 2016 and 2017 Ford Fusion Energi plug-in hybrid sedans? We let you know what's new. The 2016 Ford Fusion Hybrid and 2016 Ford Fusion Energi are both excellent ways of making a gallon of gas go even further. Although the regular Fusion can achieve 37 miles per gallon on the highway (which is pretty good for a midsize family sedan), the hybrid version tops that with 42 mpg combined. The Energi plug-in hybrid provides electric propulsion for up to 20 miles. Yet, other than their reduced trunk capacity (battery packs have to go somewhere), these eco-friendly Fusions are basically the same as their gasoline-powered siblings. The best news of all, though, may be the pricing. 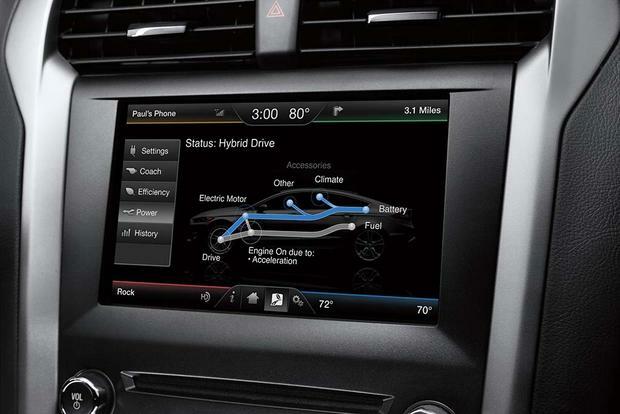 The Hybrid starts at around $27,000, and even the top-of-the-line Energi Titanium model comes in well under $40,000. That's a lot of hardware for a relatively small number of Hamiltons. With a great-handling Fusion base and high-efficiency drivetrains, either car is a win-win proposition. The center stack has been redesigned, the entry-level Hybrid S has an upgraded 6-speaker audio system, and the midlevel SE has an upgraded 10-speaker audio system. Energi models receive an EcoSelect function for optimum efficiency. 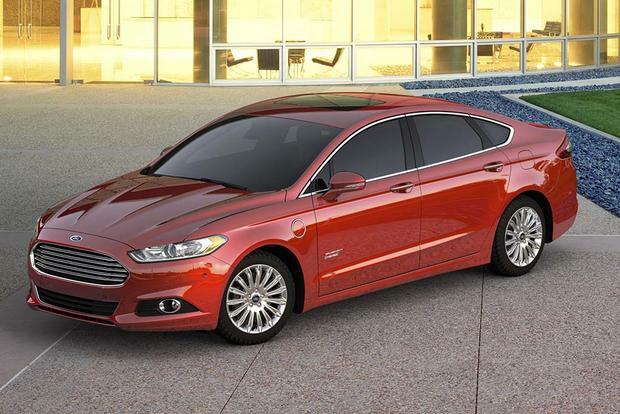 The front-drive Fusion Hybrid employs a 2.0-liter 4-cylinder engine and an electric motor (AC-synchronous type). The total system output is rated at 188 horsepower. The transmission is a continuously variable automatic (CVT). Fuel economy is estimated at 44 mpg in the city, 41 mpg on the highway and 42 mpg combined. 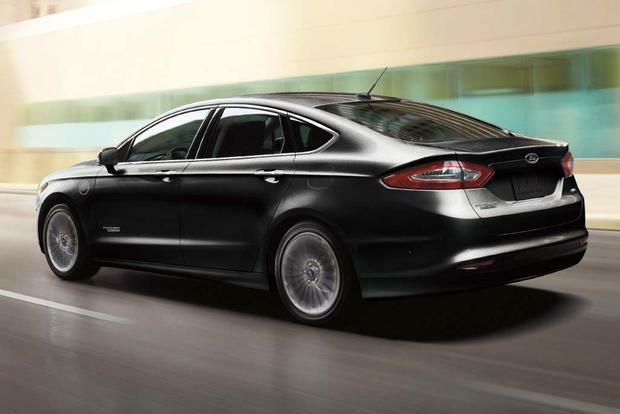 The Fusion Energi has the same powertrain but with a total output of 195 hp, along with plug-in functionality. That means it can be charged up and run exclusively on electric power for up to 20 miles thanks to a much larger battery pack in the trunk. After that, the gas engine kicks in, effectively turning the Energi into a regular hybrid. Once those 20 electric miles are done and the car is running on hybrid power, the Environmental Protection Agency rates the Energi at 40 mpg city/36 mpg hwy/38 mpg combined (which is not quite as good as the Hybrid model). 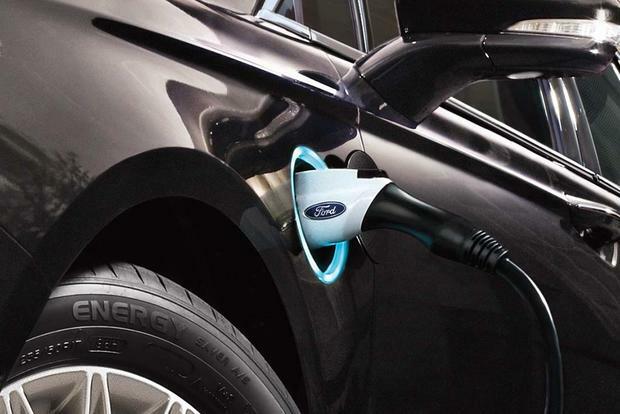 The 2016 Ford Fusion Hybrid is available in S, SE and Titanium trim levels. 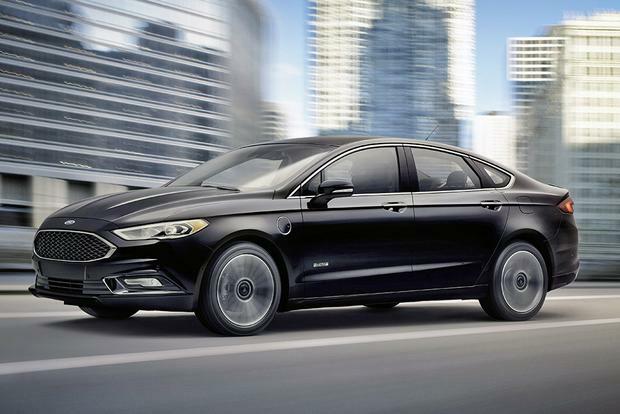 The 2016 Ford Fusion Energi comes in SE Luxury and Titanium. The Hybrid S ($26,550) starts with 17-inch alloy wheels, LED taillights, dual-zone automatic climate control, cruise control, dual LCD EcoGuide displays, a tilt-telescopic steering wheel with auxiliary controls, a height-adjustable manual driver's seat, a trip computer, MyKey parental-control capability, Bluetooth, SYNC voice command with MyFord mobile app support, a rearview camera and a 6-speaker audio system with an auxiliary input and USB port. The Hybrid SE ($27,355) adds SecuriCode keypad access, heated exterior mirrors with puddle lamps, an 8-way power driver's seat, a 6-way power passenger seat, a 10-speaker audio system and satellite radio. 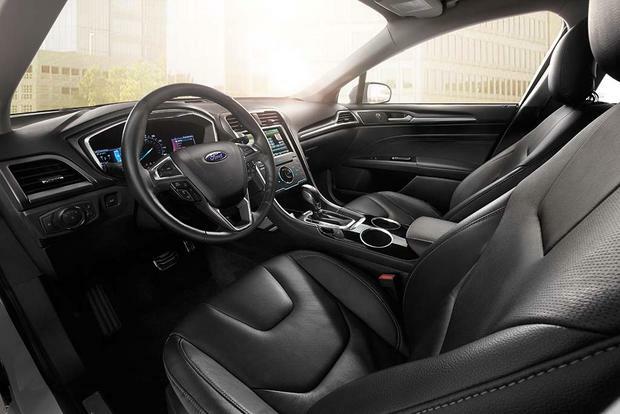 It's also eligible for some options that don't apply to the S, such as fog lights, an auto-dimming rearview mirror, leather upholstery, heated front seats with driver's-side memory function, a 110-volt outlet, rear parking sensors and the MyFord Touch infotainment system with an 8-in touchscreen. The Hybrid Titanium ($32,305) has those options as standard, plus 18-in wheels, keyless entry/starting, sport front seats, an 8-way power front passenger seat and an exclusive 12-speaker Sony audio system. The plug-in Energi SE Luxury ($34,775) is equipped similarly to the Hybrid SE and comes with active noise cancellation as standard, while the plug-in Energi Titanium ($36,605) is comparable to the Hybrid Titanium. Other options include navigation, automated parallel parking, a heated steering wheel, rain-sensing wipers, automatic high beams, a sunroof (SE and Titanium) and ventilated front seats (Titanium). The trade-off for superior fuel consumption is compromised cargo capacity from a rather crudely installed lithium-ion battery pack, which creates an unsightly bulge in the trunk floor. To be fair, the Hybrid's trunk of 12 cu ft. is pretty decent by hybrid standards, but the Energi drops to 8.2 cu ft. due to its larger battery. 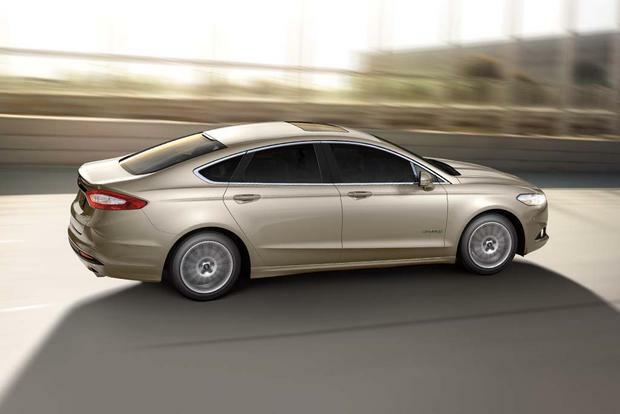 The Fusion Hybrid and Fusion Energi come standard with 4-wheel anti-lock disc brakes and eight airbags (front, front-side, front-knee and full-length side-curtain). Crash-mitigating inflatable rear seat belts are optional. Available electronic driving aids include blind spot monitoring with rear cross-traffic alert, lane-keeping assist and radar-based adaptive cruise control with forward-collision mitigation. In government crash testing, the Fusion Hybrid received five stars out of five overall: five stars for front impacts and four stars for side impacts. Oddly, the structurally similar Fusion Energi received five stars for side impacts as part of its overall 5-star rating. The Insurance Institute for Highway Safety gave the regular Fusion its top score of Good in all categories, except for the small-overlap frontal-offset test, where the car still achieved the second-best Acceptable rating. The dashboard and controls have an impressive sleekness. This is a technologically advanced vehicle with a cabin to match. Slimmer riders will enjoy the narrow, supportive front seats, but those of a broader beam might find them a bit confining. Rear passengers are unlikely to complain. Despite the fastback roofline, there's still enough headroom for 6-footers. Legroom is also generous. The hybrid drivetrain makes both cars feel quicker than they are thanks to its always-available electric torque. The CVT is surprisingly responsive. The gasoline engine is rather noisy, though, especially at full throttle. With the Energi, of course, this may never be an issue if the commute is short enough. It's cool to be whisked along in silence by the Energi's motor. And the all-electric acceleration is satisfying in its own right. Both cars also share the sporty character of their conventional platform mates. They take corners with confidence and offer precise, direct steering. Around town, the ride is a bit firm, but never harsh. Overall, there's a taut European feel that's a bonus in this eco-conscious class. 2016 Toyota Camry Hybrid -- The Camry can't quite match the Fusion Hybrid's fuel economy (41 mpg combined), but it's still the standard by which other hybrid midsize sedans are judged. 2016 Toyota Prius -- Available as both a regular and a plug-in hybrid, this car's popularity speaks for itself. The upcoming Prius Prime plug-in version has an electric-only range of 22 miles. Used Lexus ES 300h -- Essentially a luxurious version of the Camry Hybrid, the ES 300h can be acquired at a considerable discount via the Lexus certified pre-owned program. Both Fords are superb cars. If you're OK with the limited trunk space, the electric-only mode in the versatile Energi is a real boon for commuting. It's also the only plug-in hybrid in its class.